Also see Health Professionals page. Tests to assess whether or not there are problems with the balance structures of the inner ear are offered at several locations in BC. Test results may be communicated to you at the time of testing or through your physician. A referral from a specialist physician is required to book an appointment. Unfortunately the wait lists are very long. Some of the testing centres have an urgent or expedited testing policy; whether this is your case or not will be determined by your referring physician at the time of your consult. You may also be able to get an earlier appointment if you can be available on short notice and ask to be put on a cancellation list. 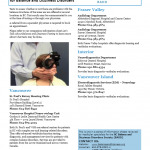 Services: Referral centres for patients in BC with complex ear and hearing-related disorders. Offer advanced vestibular function testing, diagnostic, and management services for patients with complex balance disorders. Services are provided to patients from the Lower Mainland and across western Canada. 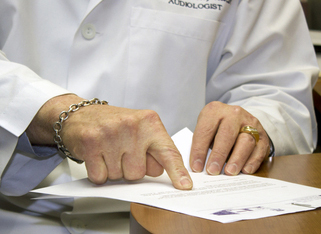 Services: Provide diagnostic hearing and vestibular evaluations. Services: Provides basic diagnostic vestibular evaluations. A few private facilities in BC offer formal vestibular testing. To find them, use our online Directory of Health Professionals – limit your search to audiologists.